The Brookfield Craft Center is offering an exciting opportunity for our communities’ youth. Youth ages 6 to 16 will be able to explore their creativity in our 2019 Hands-On Art Summer Youth Program. Our Hands-On Art Youth Program is a great alternative to full-day summer-long programs. Our small groups allow students to receive individual attention from the instructor in a warm, family-like atmosphere. We offer four one-week sessions with half-day and full-day options. Ages for camps are 6-16 unless otherwise noted in the camp description. Every class will have an experienced artist and an assistant to help the students learn basic skills in various craft mediums. Space is limited and classes fill quickly. Early sign up is encouraged. Each morning session is from 9:00–12:00pm. and each afternoon session is from 1:00–4:00pm. A lunch time session is available for children staying on campus between the morning and afternoon sessions. For additional information, please contact the Brookfield Craft Center at info@brookfieldcraft.org or call 203-775-4526. Hands-On Art at the Brookfield Craft Center is sponsored by the Give Back Brands Foundation. 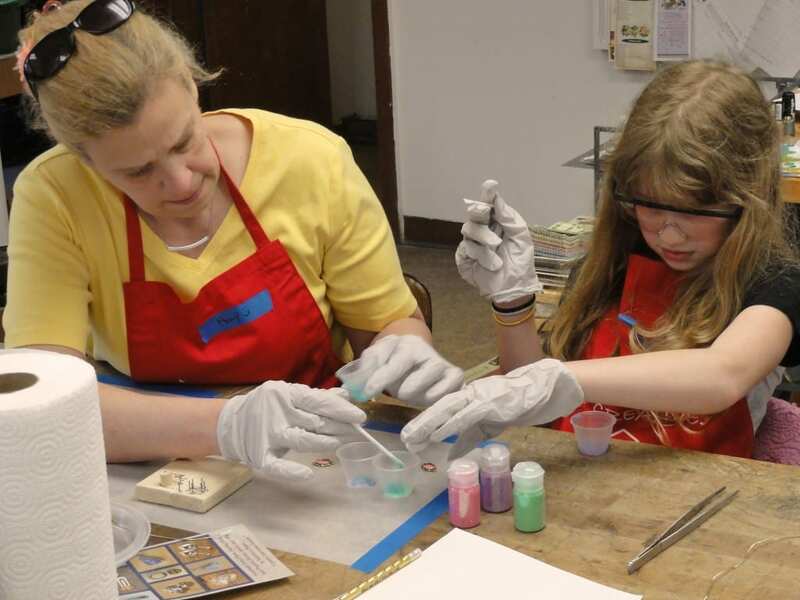 Thanks to funding from the Union Savings Bank Foundation and the State of Connecticut, The Brookfield Craft Center is able to offer exciting opportunities for children (ages 6 to 16) to explore their creative energies. Recipients will receive free tuition for a class of their choice. The scholarship will also cover materials and registration fees.